You are planning on it. Right? The Antique and Classic Boat Society will hold its Annual Meeting and International Boat Show at Port Huron, Michigan, September 12-15, 2018. And those days are preceded with boating events hosted by the Michigan Chapter beginning September 9th. Ready to Register? Exciting news – for the first time there will be ONE registration form for the whole week including both pre-events and ACBS events! The registration form will be in the Spring Issue of the Rudder and at that time, also online. Details about the event will be kept up-to-date on this website. Under the NEWS & EVENTS tab in a drop-down menu you will find “2018 International Boat Show“. All sorts of helpful planning information including lodging options are already posted. We suggest making your lodging reservations as soon as you can. Pre-Events Welcome Reception at the DoubleTree by Hilton in Port Huron. You’ll enjoy an evening on the Patio overlooking the St. Clair River and the Blue Water Bridge. Poker Run on the St. Clair Flats Waterway. This is where Christopher Smith and Gar Wood designed, built and raced boats. The event concludes with lunch at the Historic Old Club Yacht Club on Harsens Island. Cruise down the St. Clair River from Port Huron to the city of St. Clair with dockage at the municipal marina. Enjoy lunch at a local riverview restaurant while watching the freighters make their way on the river. Registered boaters can enjoy being guests on a large cruiser for a run up into Lake Huron (weather permitting) to the delightful town of Lexington. There they can enjoy the downtown area and a catered lunch at the marina. ACBS Chapter Round Table and Annual Meeting at The Doubletree by Hilton, 800 Harker St, Port Huron, Michigan, 48060. All members welcome. “Bring Your Boats Home” ACBS International Boat Show at The River Street Marina, 525 River Street, Port Huron, Michigan. And you will enjoy various videos this year as enticements to the BIG EVENT at Port Huron. The Michigan Chapter is producing and sharing this series of videos to give us a taste of what is to come during the Boat the Blue week. Here is the second video in the series, a preview of the storytelling that will go on during the event. In this video, Chris Smith, the lone survivor of the 3rd Generation of the Chris-Craft boat building family, shares a memorable story about Gar Wood and the connection Chris-Craft boats has with Gar Wood boats. More details and always updated information are also available on the great event website done by the host chapter Michigan. The Boat the Blue website is available by clicking here. There are many ways to be involved as an ACBS member throughout the year. 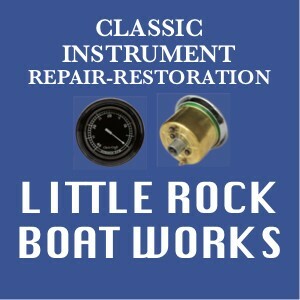 The more you participate, the more value you will gain from being part of the Antique and Classic Boat Society. Get to know even more people from around the organization by attending an International ACBS meeting sometime during the year. Quarterly meetings are listed on this website. Is there one near you this year? Chapters welcome ACBS members to all of their events. Where do you plan to travel this year? Look to see what other chapters may be having an event near your path. At least look at what your neighboring chapters are planning. Where will we get to meet you? …through this website? …or at an event? See you soon!